Listed below are a range of fire barriers that are designed to help reduce the effects of a thatch fire. 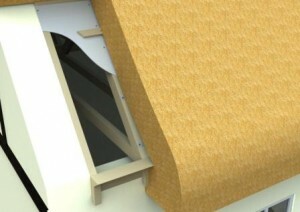 They will not eliminate the risk of fire, but they can act to reduce the possible levels of damage from a thatch fire. In most cases the physical barriers are installed directly on top of the roof timbers, therefore will only be able to be fitted if the thatch is ever stripped off or you are building a new property or an extending an existing one. Most fire barriers these days are made up of a number of components and are offered as systems. When considering the introduction of fire barriers it is important to look at other considerations such as suitable levels of insulation and vapour controls. 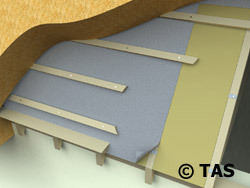 A composite board offering a fire barrier in accordance with BS476: Part 3: 2004 & CEN/TS 1187:2012, test 4 when used as part of a system which includes Thatchbatts®. 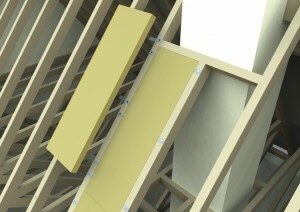 These are more commonly used on new roofs due to the timbers being straight and strong enough to accept them. Thatch Firewall Membrane is a flexible alternative that is mostly used on existing buildings due to the timbers not being suitable for the rigid board. Additionally the membrane offers better levels of vapour transmission and breathability and therefore works better in an existing building that can’t accommodate comprehensive vapour control layers. We have also seen membranes being used to under draw roof timbers in cases when the thatching is not going to be stripped back. 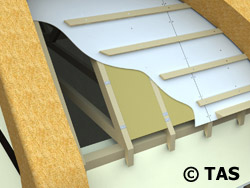 This again can work better if Thatchbatts® are installed between the rafters and a suitable fixing can be achieved on the underside of the roof timbers. Installed between the rafters on the underside of the thatch, their thermal performance will reduce the heat transfer around the roof structure in the event of a fire. To be used with either Thatch Firewall or Thatch Fireboard. Can be applied to both a new or existing thatched roof to reduce and slow down the spread of flame in the event of sparks or embers landing on the thatch. When applied correctly, Thatchsayf penetrates the stems of the thatch by up to 75mm. When exposed to heat, Thatchsayf will foam (intumesce) and form a carbonised char, which binds the thatch stems together, cutting off the supply of oxygen to the fire. 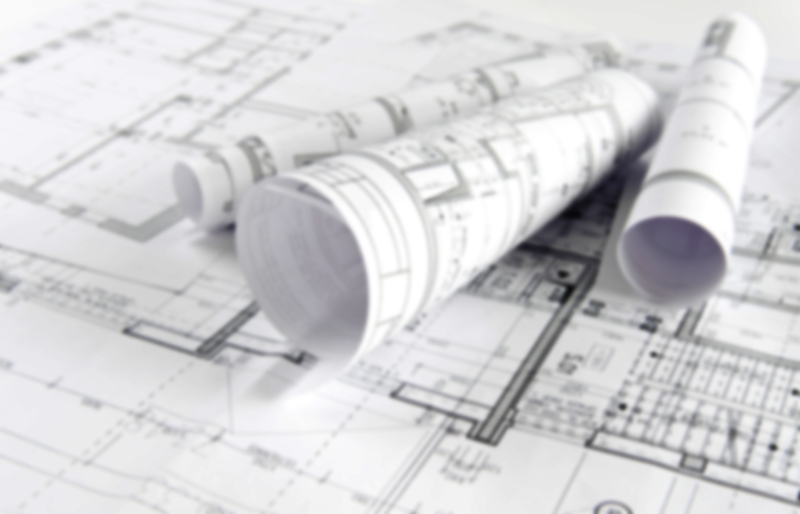 We continue to provide a single source of information for architects, builders, surveyors, thatchers and property owners. Whether it is a new build, extension or re-thatch project, we can provide information with regard to current building regulations and which fire barriers and systems are best suited to each individual project.